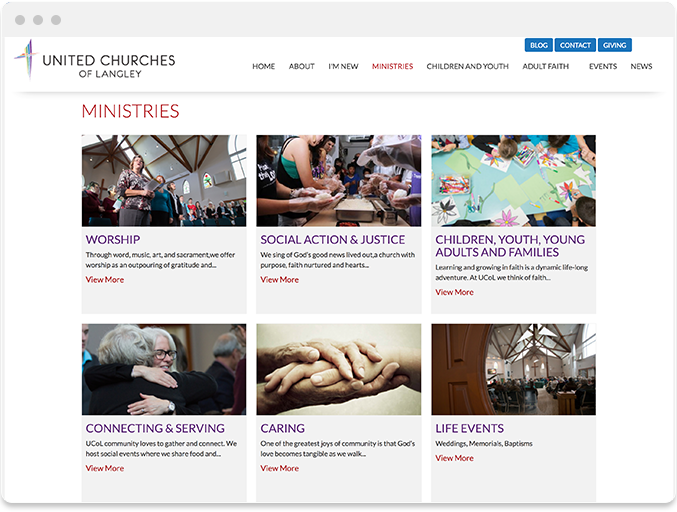 This time last year, the United Church of Canada was searching for a solution to help their churches set up great websites. They were looking to establish a nationwide solution and so they called Ascend. Soon after, a Buying United partnership was formed between Ascend and the United Church of Canada. This partnership allows United churches to set up incredible websites that fit within their church budget. 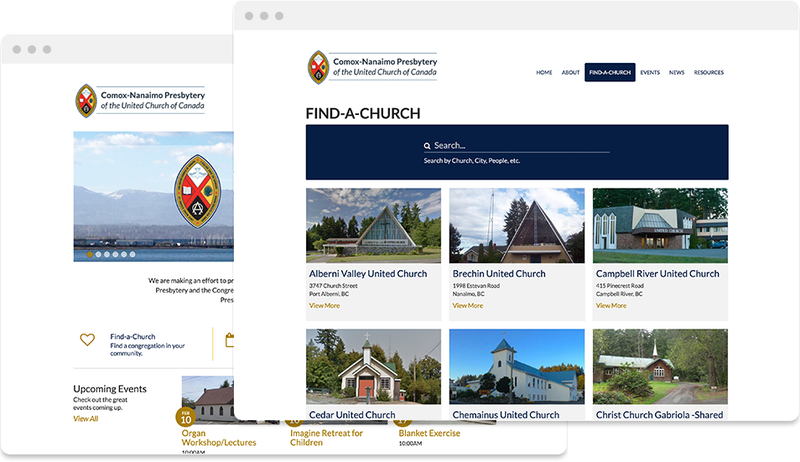 Now, as we celebrate a new name and a greater vision, we wanted to showcase great United Church of Canada websites powered by Ascend. 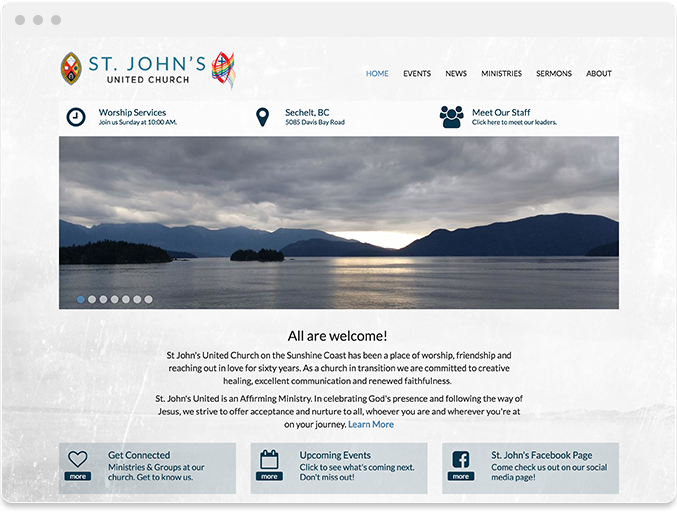 From the start, St. John's United has created a site defined by how clean and simple it is. They are very clear about their brand and the feel the site is going for. They’ve also done a great job of showcasing photos from their community and keeping the website up-to-date. We were excited when we first received a call from Foster at the Comox-Nanaimo Presbytery on Vancouver Island. They had seen what we offered and in addition to helping strike a deal to set up 12 websites across the presbytery, we set them up with their own website, equipped with a powerful Find-a-Church directory. 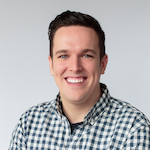 They have done a great job keeping events posted and connecting churches with helpful resources. 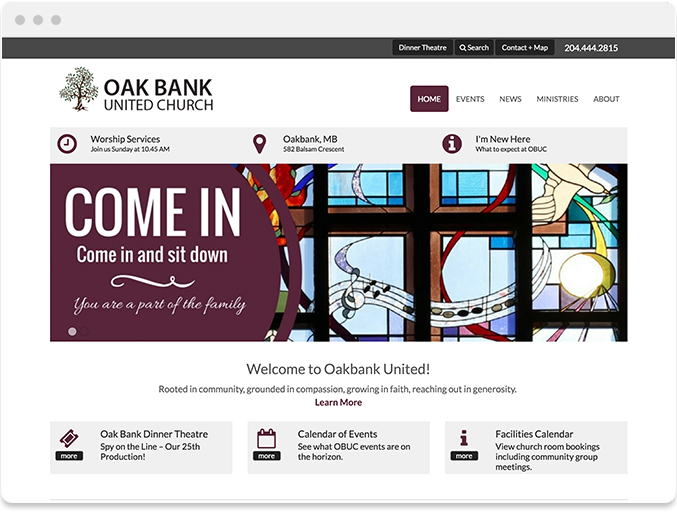 Oakbank United took a great deal of pride in setting up a website that would connect with their community. They took the time to create special graphics, select the right photos, and add a special style that felt unique to their church. Renting out your space is a great way to supplement income for the church. 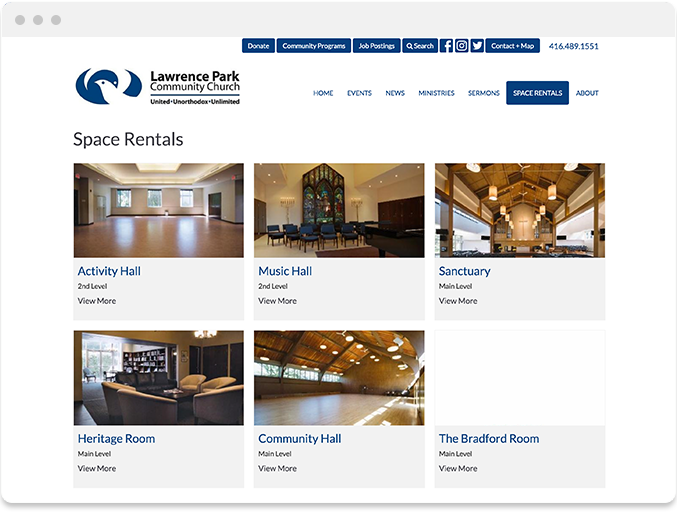 Lawrence Park Church in Toronto has set up a great page that allows them to showcase available rooms and provide more details to a potential renter. The team at United Churches of Langley win the award for best use of photos. On pretty much every page they use a great photo to help communicate the purpose of the page. This helps give the viewer a place to rest their eye, instead of look at just text. More importantly, it allows a visitors to see and experience the church in a small way. This helps make them more comfortable to come and visit next Sunday. 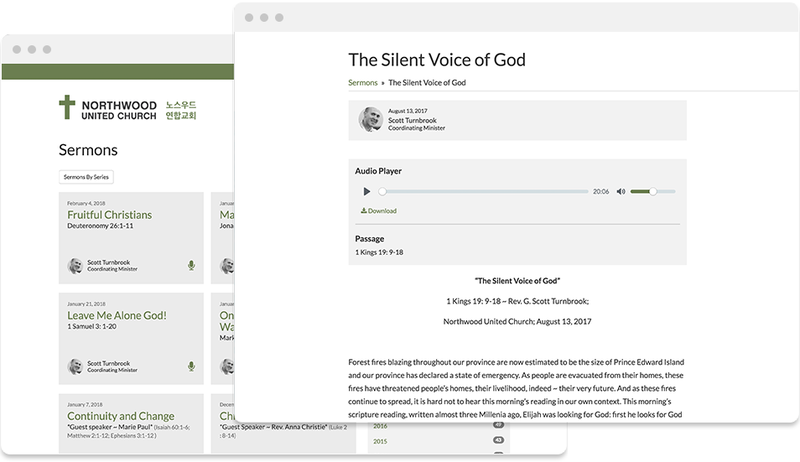 The team at Northwood United takes the time each week to post audio recordings of their sermons to the website. For any church that posts sermons, we consistently see this to be the most visited page on their site. Posting weekly messages accomplishes a few great things. First, it allows someone who missed service to still catch up on the message. It’s a chance for a visitor to learn and also get a sense of what the church is teaching. And it is a great way to keep your website feeling fresh and up-to-date on a weekly basis. In addition to being such a pleasure to work with, we truly appreciate Adele and Phil at St. Stephen’s in Qualicum for the time they take to keep their website organized, clean, and easy for a visitor to navigate. 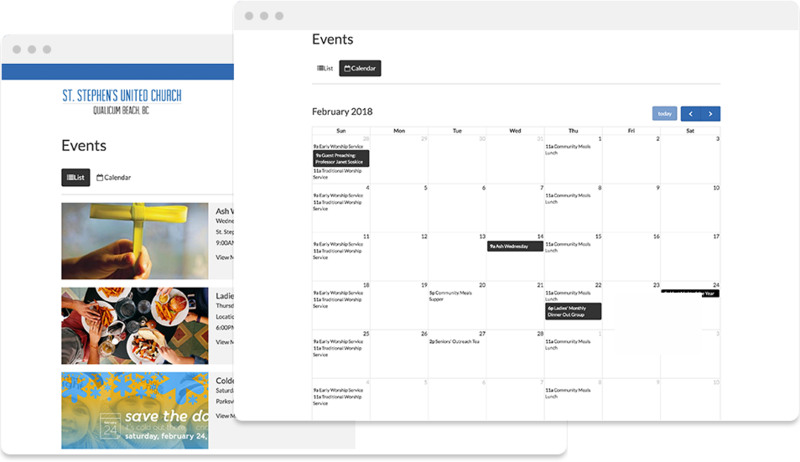 We love to see what a great job they’ve done setting up their upcoming events so that everyone can easily connect and find out where and when to meet. They can check out events both in list view and calendar mode. Since partnering with Buying United, it’s great to have now equipped over 50 churches with websites that are easy-to-use and feature-rich. On behalf of the team at Ascend, we love being a Buying United partner and can't wait to meet many more of you. Get started today for just $399!